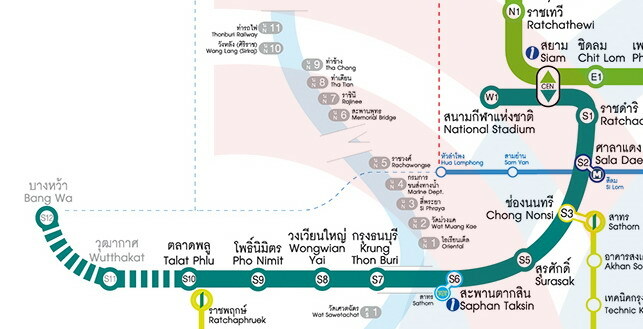 The condo is located on Thonburi side (other side of river or west side of Bangkok).Now it is only 3-5 minutes drive from Wutthakat Station and Bang Wa Station. If coming from Sathorn Road need to drive straight toward Kallapraphuk Road and must take u Turn under Soi Kamnnaman over pass bridge. If you would like to rent a condo there, we do arrange a pick up from BTS station.